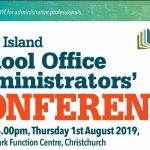 Back for another year, the 2019 South Island School Office Administrators’ Conference is set to be great! CES has specially chosen these workshop topics for the purpose of developing your skills and learning new work processes to help make your life easier! Attend workshops on using Mircosoft and Google products effectively, dealing with tricky people, improving your payroll systems, and many more! Listen to workshops run by industry experts in their respective fields, all wanting to help you get the most out of their workshops. With speakers from Microsoft, Google, e-Learning specialists, Ministry of Education, Oranga Tamariki and others, you’ll be spoilt for choice! We all know that networking is one of the best ways to meet new people and exchange ideas and solutions. There will be plenty of opportunities to build your connections at the Conference, and we encourage you to do so! So, what are you waiting for? Get in contact with CES to secure your spot at this year’s Conference. 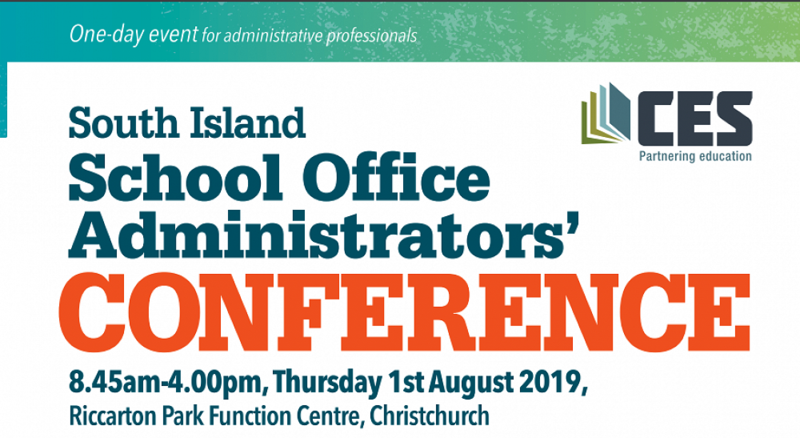 Next PostLower North Island School Office Administrators' Conference.